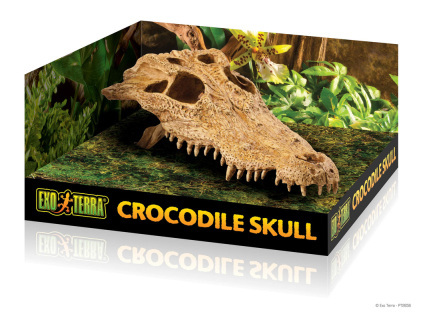 three sizes to accommodate many popular reptile species. 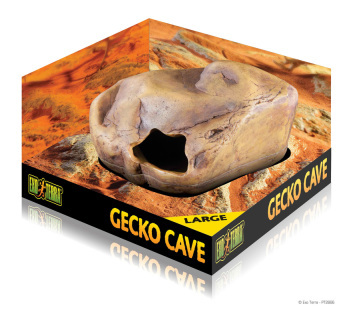 This 3 in 1 cave can be filled with Terrarium Moss or Eco Earth to provide a humid micro-climate for shedding, hiding, or egg laying. 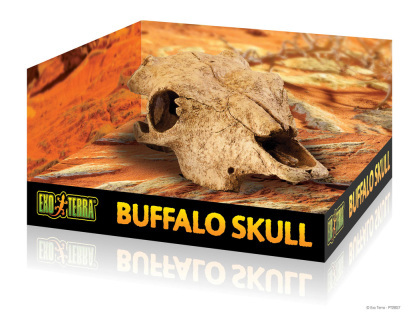 Durable resin construction means that it can easily be washed and sterilized, and the removable lid makes it easy to check on your animal or remove eggs. 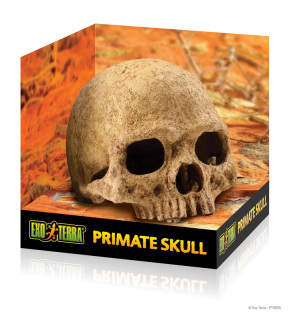 Available in three sizes to accommodate many popular reptile species. color allows for easy integration in desert, tropical or any type of terrarium. 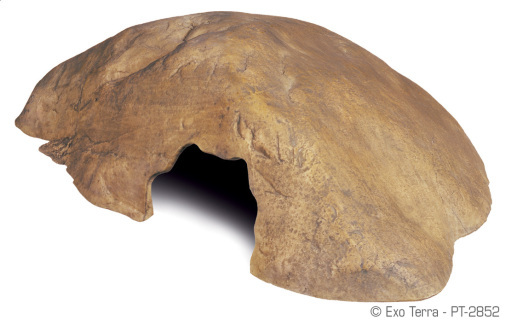 This Cave Prevents stress and Promotes nesting. 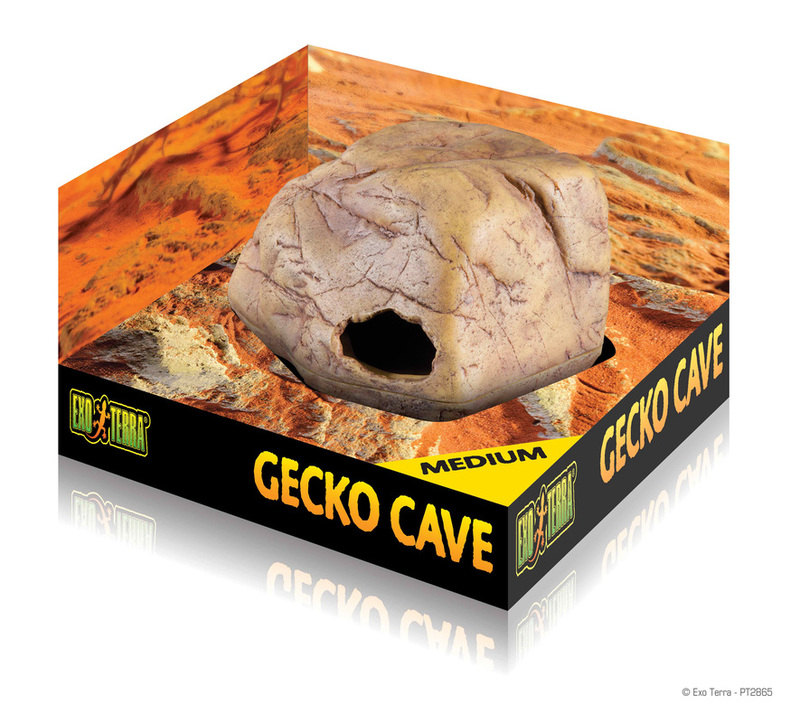 Ideal for terrestrial geckos like Leopard Geckos and Integrates easily in desert and tropical terrariums. 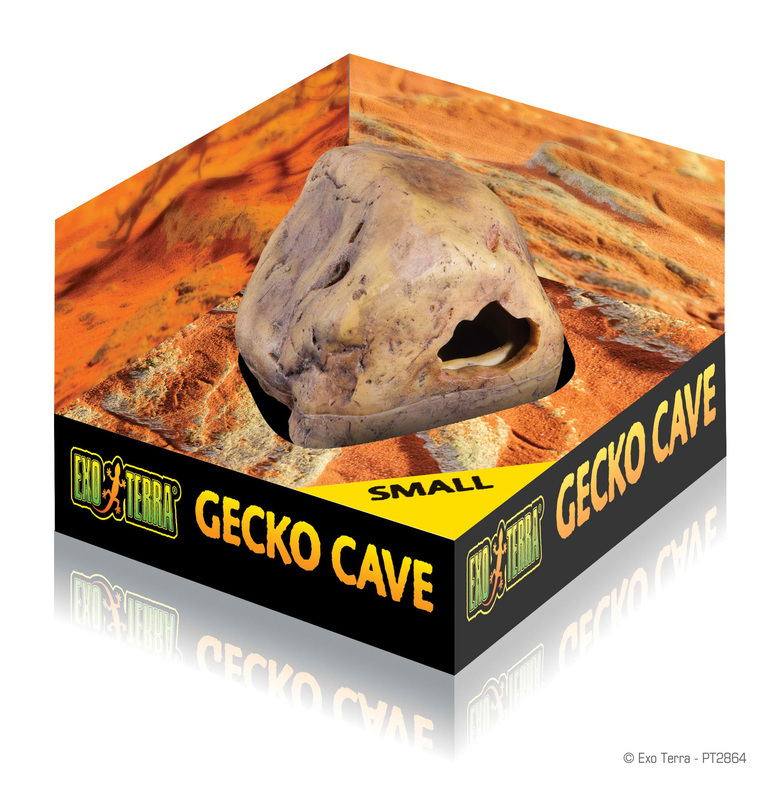 like Leopard Geckos and Integrates easily in desert and tropical terrariums. 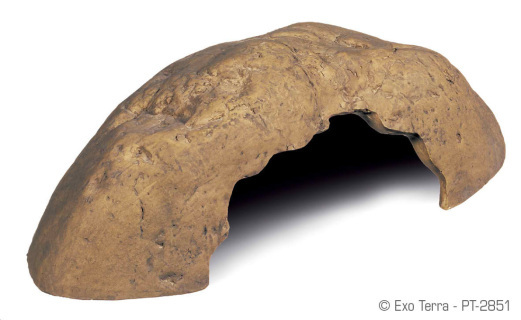 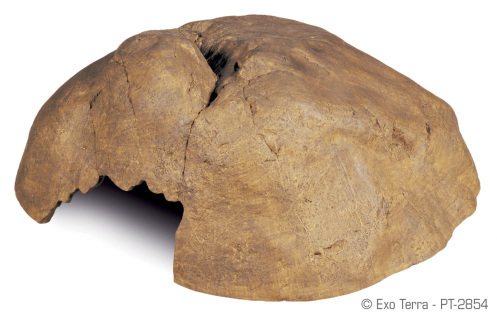 The coconut hide is made from real coconut shells. 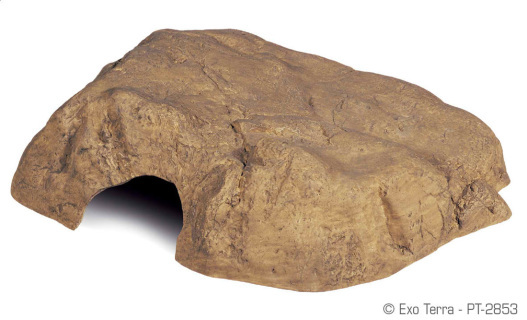 It provides a great hiding place for small reptiles! This is a natural alternative to plastic or resin hiding areas. Zoo Med’s Habba Hut adds privacy to any reptile terrarium. A perfect way to help reptiles feel safe and secure. 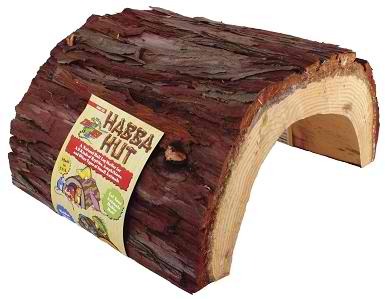 Terrarium Moss can be added inside Habba Hut to provide a humid shelter.